When I reached out to NWSPin need of help Neo and his team jumped right in. I had a pretty well developed idea of what I wanted for my site but after I started to work with WDE I realized I was dreaming way too small. I was walked through every single little detail about the site and every bit of it was worked into perfection. I am a novice programmer myself and know my way around code pretty well but the result WDE came up with is simply astounding. Running my site now requires very little effort as almost everything is automated and the success of the site is all thanks to the WDE team being very good at what they do. I hired Neo and his team to help me build my site and was completely blown away by the results they came up with. I love the design and theme they created for me but what really got me was the incredible creativity in the PHP programming and in the functionality of the site. Many tasks that would have required painstakingly long hours of upkeep are now fully automated and running my site is easier than ever. NWSPand Neoser were a pleasure to work with. The requests I had for my website were complicated and meticulous, but were always completed in a timely manner and finished to perfection. Neoser and his team are excellent communicators and they were extremely helpful throughout the process. I highly recommend their services to anyone seeking a team of professional for their website needs. This is my second experience with your company. I have to say I’m very pleased. If I have any other maintenance issues I will definitely contact you. It was really good working with this team. There approach was very professional and efficient. They were also very quick with feedback and applying changes. It is a pity we didn't’t get to meet this wonderful people in person because we are very satisfied with their work. We are incredibly happy with the service we received. There was no language problem and updates were provided in a timely manner. It was a true pleasure to work with NWSP and we will definitely use them on all of our future projects. 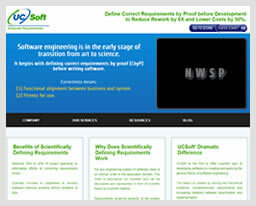 We hired Neo and NWSPto build our new website. The graphic are Great. The Layout was Great...exactly what we wanted. They were fast and got the project done exactly when we wanted it done. 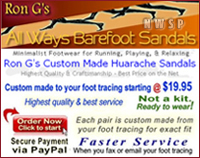 Our old web site was a static web site with changes having to be made to each page. I would have preferred a little more training on how to manage our new Dynamic web site and how to make content changes for SEO. (specifically for keyword generation, Meta tags updates....etc ). 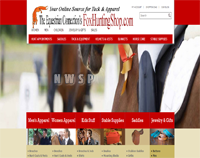 We need to optimize each of our pages for each show discipline...Dressage, Foxhunting, Eventing, Hunters & jumpers. I would recommend them to build your New Site! WI was having serious issues with getting my web site updated at a reasonable cost and timely manner. Fortunately I found NWSPwhile doing a Google search for web site developers. They are fantastic and I would recommend them to anybody. They provided me with a very reasonable quote for the scope of work I wanted done and stuck to it. Sarah started work with me immediately to update my web site the way I wanted it and I was able to review all the updates before publishing. She answered all my e-mails promptly and kept working with me until I was completely satisfied with the results. She is the gold standard for customer service. Since my site is constantly developing and evolving, I will definitely be contacting Sarah at NWSPfor all my future projects. Thank you Sarah for the great work you do and I look forward to working with you again. 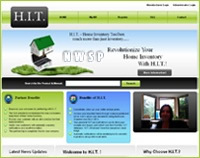 NWSPis efficient, reliable, quick to respond, professional company. I am very pleased with the service and work they have already performed on my site. I would recommend them to anyone who is looking for professional web service. I really appreciate all of the efforts that the developers did for my website. I have a extremely complex PHP and MySql website and your developers stepped right in to do the modifications that I needed. Overall, they did what I asked at a very reasonable rate. 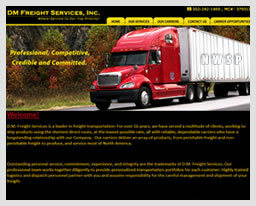 NWSPwas very efficient, cooperative, fast, professional and economical as they developed our website. We would recommend them to anyone! I am a graphic designer with no coding experience that was looking for someone to help me get my website up and running. I found NWSPand contacted them about coding my website for a reasonable price. I found that they were very willing to help me and even stay within my budget. They did everything that I asked them to and were very good about updating me with the status of my website. I highly recommend them to anyone looking to get their website coded efficiently. I have used NWSP twice now. The first time was to have a custom script/program written from scratch to complete an idea that I had. The second was for a website tweak that I was unable to do on my own. In both instances I have been pleased with the results. They reworked both issues until all issues were resolved, and did it in a timely manner. I also love that it doesn't cost me an arm and a leg to get these custom jobs done. This is why I will continue to come back and use NWSP for future needs. NWSPhas been excellent to deal with on a variety of our over sold websites and fixing issues that many other programmers could not fix. We have had several outside contractors helping us on projects throughout the years and NWSPis by far the best. Thank you so much Sarah and your team of talented experts! I have only been using NWSP less than a month. So far I am very pleased. Over the years I have had a lot of experience with website companies and find Sarah at NWSP a very good technician. I would recommend highly. After purchasing a website I found out it needed SEO and some things changed. 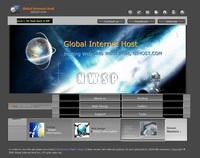 Searching the web I decided to try NWSP.com, Neo gave me a detailed quote with a discount if I chose all the modules. He was a pleasure to work with and always updating me and doing changes that I would request until it was finished. All at a low cost! I would recommend NWSP.com services to anyone, I will be using them again. I have been with NWSPfor two years now. 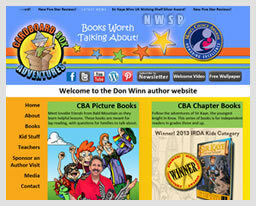 They have been nothing short of kind and cooperative in keeping my site looking good. 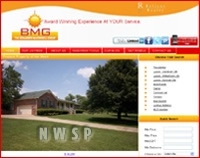 Anyone needing a great developer and excellent pricing should contact NWSP. 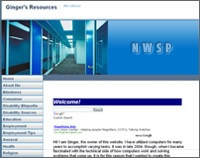 NWSPprovides me with a reasonable price to keep my website, www.gingerresources.com, updated. When I first signed up with them for web design, I explained the special considerations to take into account when working with a person utilizing screen reading software. 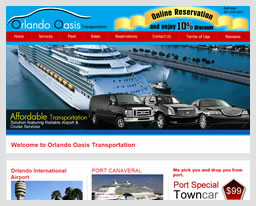 The company, Web Design Easy, was receptive and does a marvelous job with my site. One of the great features they provide me is a link after they make the changes. 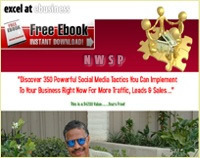 I can preview this link, before NWSPtakes my site live with changes. Finally, I utilize Email and phone support to communicate with the web design company. They have a quick turnaround time too. I would highly recommend NWSP's services. Something else you need to know is that totally blind people cannot do a website totally on their own. Companies that host and do development, but charge loads of money and make templates that totally blind people cannot use, are losing customers. You all are not and came highly recommended by my hoster ReliableHosting.com. Thank you for a great beginning and many more years to come. 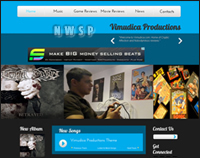 NWSP.com has been a pleasure to work with on designing both my website and shopping cart. The final website has exceeded my expectations. Sarah, the design team leader, and Neo were extremely responsive to my requests. Since this was the first time developing a website, additional needs became evident as the website progressed. Both Sarah and Neo were very accommodating and patient in changing different elements and fine tuning the website. 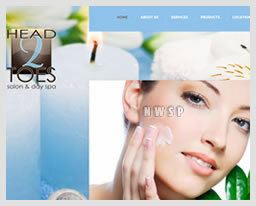 With customized pages in the double digits, drop down menus, cross-page links and the integration of many design elements, the value of the final design far exceeded the extremely reasonable prices charged by NWSP.com. 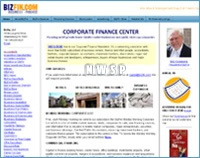 Given the great experience working with NWSP.com, I have already contracted their SEO services. 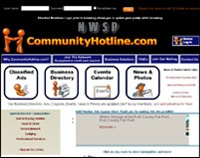 I contacted NWSP because I was impressed with their work on another website. Their working time, correspondence, and quality of the finished product really has impressed me and therefore...I recommend them highly. I was given the project of finding someone and creating the content for a company website. After hours of searching locally and then searching the internet I came upon NWSP I sent numerous emails and left several voice mail messages for lots of places, but NWSP responded to me first, in fact the same evening. Neil and Sarah have the patience of Saints. I explained that I had never done anything like this before and I needed help and explanation from A to Z and they gave it to me! I highly recommend NWSP to everyone. They absolutely did everything in their power to make this project as easy as possible for me. They made each and every revision as many times as needed. Thank you Neil and Sarah, you are the BEST! Sarah did a great job in meeting my web development needs and at a very reasonable rate. 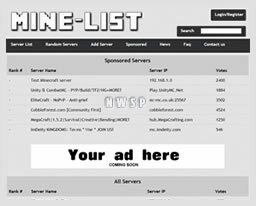 I would recommend NWSP for anyone that needs to have a website built. Neo Web Services Proivder sounded almost to good to be true upon reviewing their website. I was a little skeptical hiring a company through the web as I have had issues in the past with other vendors. After taking the leap of faith, my reservations were forever brushed aside! I am nothing short of amazed at the quality and professional feel of what was created for us. 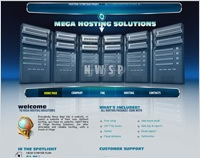 I have worked with other web designers in the past, but Neo Web Services Provider has certainly set the standard for me. I couldn't be happier with the outcome and am delighted that we could have this done as economically as was quoted right up front. I have already begun to use them for site maintenance and will forever be a faithful customer. Thanks so much to Sarah and her team of talented experts! I can highly recommend NWSP, this was the first work they did for me but i will continue to use for all my future projects. I am so impressed with the help, advice, response time, the speed at which they work and the best thing is they will keep going until you are happy with the final results!Thanks for everything and look forward to working together again. We wanted to write to you regarding our site being attacked and subsequent hiring of your company to resolve that urgent issue. In a time where one rarely speaks or has an opportunity to meet those we do business with, it was such a pleasure to have been lucky enough to find you and your firm. Given our position of being number one on Google for our industry and that we serve many thousands of customers, the malware attack on our site was a company threatening issue which was quickly and professionally resolved by you for a most reasonable fee. We have several other projects we need your assistance with and look forward to the furthering of development for those sites with you and your firm. We understand how hard it is to acquire new customers when you are running a web based business and want your future customers to know about our experience and that we would be happy to speak to anyone considering engaging your firm in the future. We can't thank you enough for your assistance and whish you continued success. This company has impressed me from the first day that I inquired about my website idea. They always responded in a timely manner. They are very easy to work with and they addressed all of my demands. I felt like they were always working hard and never letting me down. In the end I am very proud of the website in which they have created for me. I will definitely recommend this company to anyone. It is always good to work with a company you can trust!! 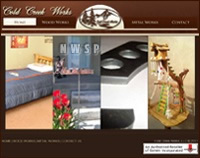 It was my first time I hired a company to develop me a complete website and NWSP made a really good job. They made my website exactly as I wanted. Their service was excellent, they changed any small detail that I told them without problem nor extra charges. I am also very happy with my control panel that they made me because it easily lets me make changes and manage my website. 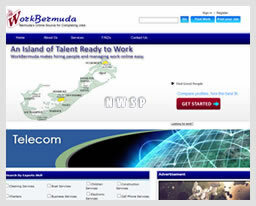 I definitely recommend NWSP, they will achieve the requirements of your website. Excellent work, fast turn around time. 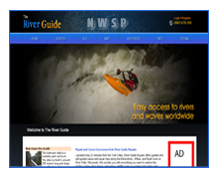 Recently I have used NWSP.com for some modification to a template that I purchased. 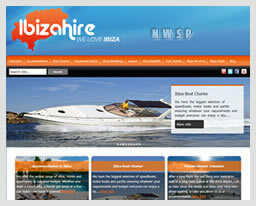 The website is key to our business, so choosing the right company to do the job was important. Sarah was a great help in accomplishing this task. She was knowledgeable, easy to communicate with, reliable, and the turnaround was quick. There are many web editing sites out there to choose from, I feel like I've made the right choice. I would recommend this company to anyone who has web editing needs to fulfill. This company was very helpful and professional with my project. They made sure that they had it done right and they worked with me on anything I needed. They did everything in their power to make sure that I was a happy customer, and that is why I'll be using them again in the future. It is hard to find customer service this good anywhere else! Thanks guys! To whom it may concern. 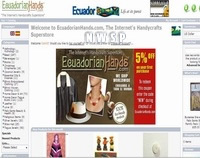 I have worked in the past with WDE in 2 projects of my store www.EcuadorianHands.com; All tasks were developed accordingly. Currently I want to develop a new project and asked for a quotation from WDE, and we agreed in $150. I advanced $100. Regretfully, WDE is telling me this new project is too complex and they cannot deliver. Therefore they refund me in full immediately. Thank you so much for the excellent work on our Site. We found you responsive and always kept us up to date on progress. I normally do my own web development. However I had a php/sql update project that was both complex and time sensitive. 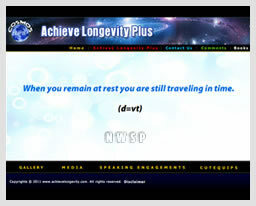 NWSP.com was quick to give a very fair quote. 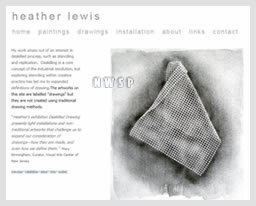 I decided to use NWSP.com for that project. NWSP.com did an extremely professional job. There was excellent communications both ways to insure the project was exactly as I needed/requested. They are as good as having a partner in the office. 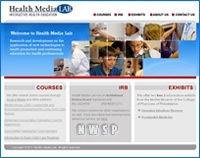 Thanks to NWSP.com my project was delivered to my client on time and under budget. Because they are so professional and cost effect I would not hesitate using NWSP in the future. Found the NWSPteam very informative, knowledgeable and efficient. Their replies were prompt and courteous. Programmer worked patiently with me to get my website updates absolutely correct and to ensure that my vision was realized. She provided me with information that will help me in future, and suggestions for other improvements. I am very happy with their work, and their pricing! 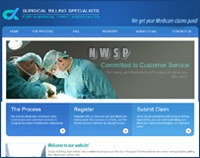 I have had the great pleasure to work with NWSP.com for the past year on several web projects. I was very nervous, at first, to use someone not located in my home area....so I used two local companies and it ended up being a DISASTER that cost me THOUSANDS OF DOLLARS. Left with little money and choice...I threw myself on Sarah and team's mercy....and they delivered way beyond my expectations!! Not only is their work 1st class and their creative original and fresh....they are professional....highly responsive....incredibly affordable....and will to go "above and beyond" to satisfy our needs. 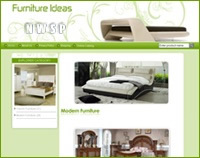 We are working on our third web development project with NWSP.com and I see many years of doing business together in our future. I am happy to talk with anyone directly about my experiences. Thank you, Sarah & Team!! I am so impressed with NWSPas my Programmers and Designers. Their work is simply amazing and they pay very close attention to every little detail and will assist you every step of the way in building a great looking and highly functional website. During the entire process, they're constantly in touch with you via emails, making sure things are going according to your plans. If you have questions or concerns, they're there to assist you in a very timely manner. A company is as good as its' people and Sarah and Sheeba are the very best at what they do. Thank you so much for a job well done. 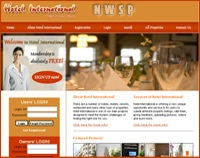 I had the great experience to work with NWSP.com. Their replies were prompt and courteous. Programmer worked with me to get my website done right. I highly recommend NWSP. Neo at Web Development is a master. I had a web designer leave me high and dry with my e-commerce portion of the site and Neo worked on it for 2 weeks until he got things squared away for us. I highly recommend this company for any web site work, especially the highly technical things. I will be using them in the future and you should too! Neo at Web Development is a master. I had a web designer leave me high and dry with my e-commerce portion of the site and Neo worked on it for 2 weeks until he got things squared away for us. I highly recommend this company for any web site work, especially the highly technical things. I will be using them in the future and you should too! Greetings from the western hemisphere! Hope you and company are doing great. I want to thank you for the hosting and anti-hacker service you guys offered me. Since I acquired your services I had not yet experienced any vandalism in my website. We hired NWSP to create www.DenverFreeTicket .com. They did a terrific job with the design and the programming . They have a solid team that is talented and flexible at a reasonable price. I highly recommend their work. 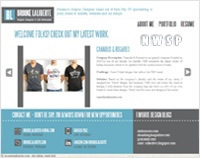 I am please to say after weeks and weeks of looking for a professional freelance web developer online I stumble across NWSP.com while surfing the web and I am so glad I did. This company was professional and prompt from the beginning to the End of the project. I was able to talked to professional rep on the phone and not a machine and that was nice. She asked me to give detail Information about the issues I was having with my website and with the information that was given they jump right on it and got back with me asap and was ready to work to fix the issues I was having with my site great customer service and very affordable service fees and they were willing too work with my budget as well and that was great. I just have to say NWSP.com is a very knowledgeable and professional company and I will recommend this company to anyone that is looking for grade a company to fix there website issues and I will be recommending this company to my friends and colleagues for sure thanks for everything NWSP.com. And everyone here at Cashmere Corner Fashions thank you so much we are looking forward to working with you again. To check out the great work go to www.hotfashions4u.com thanks. 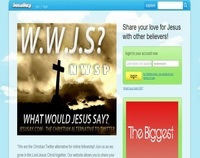 After finding myself in a jam from a website purchase, I was browsing the internet and came across NWSP. Their work and response time was to say the least outstanding. I would use them for any project, and recommend them to anyone wanting reasonable rates, quick turn around and knowledge base to match. Working with NWSP has been such a pleasure. They have taken my website template and turned it into a fully functioning website, with everything i have asked for with no questions asked. Sarah has been so professional throughout the whole process, and i highly recommend anybody that wants a website made up, or modified, to sign up or drop an Email to see what NWSP can do for you. I am Lisa, www.usa-jewellery-shop.com is my first website over net, I hired programmers from www.NWSP.com and I am very happy and I would love to work with them again. Initially I was not agree to work with online webdevelopment company, then i talk with Sarah and I was convinced, as a result I got a great looking website. I am very happy and excited, rates were very reasonable and service was terrific, I do recommend them highly. Hi guys, it was great working experience with NWSP dot com, they are excellent programmers and designers, I love to work with them again, and thanks for giving me such a wonderful website. I have worked with many web developers, but my experience with the NWSP.com has been the best so far. They cater for the needs of their customer and provide a high quality professional service in terms of customer satisfaction and producing high quality websites. They work according to a waterfall approach and work to the needs of the client. The strongest point about this company is the promptness in their response to queries and that they are always at hand either via Email or skype. You never have to wait for days for a reply. Excellent service.